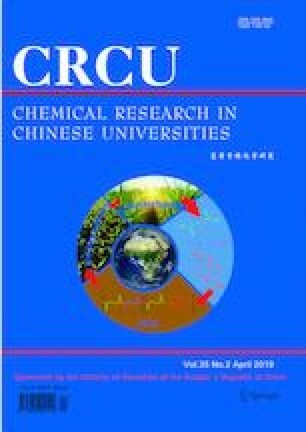 A hybrid pharmacophore approach was used to design and synthesize a series of coumarin derivatives bearing 2-methylbiphenyl moiety, which were evaluated for their in vitro anticancer activities against four cancer cell lines(MCF-7, A549, H460 and HT29) and PD-1/PD-L1 inhibitory activities. Moreover, several compounds with excellent anticancer activities were selected to evaluate the cytotoxicities against one normal cell line(HEK-293). The most promising compound 11o showed the best anticancer activities against the four tested cancer cell lines with the IC50 values of 6.45, 8.65, 6,57 and 8.13 μmol/L, respectively, and displayed weak cytotoxicity on the normal cell(HEK-293). Furthermore, screening of PD-1/PD-L1inhibitory activity revealed that compound 11o could effectively inhibit the binding of PD-1/PD-L1, and the binding interactions of compound 11o with PD-L1 protein were explored by molecular docking. All above evidences showed that compound 11o might be worthy of further study as a valuable leading compound for the treatment of cancer. Supported by the National Natural Science Foundation of China(No.81602970), the Promotion Program for Young and Middle- aged Teacher in Science and Technology Research of Huaqiao University, China(No.ZQN-PY519), the Science and Technology Project of Quanzhou City, China(No.2018C074R) and the Subsidized Project for Postgraduates’ Innovative Fund in Scientific Research of Huaqiao University, China.